SEVAI, a Trichy based NGO contributed Rs.50,000 to Trichy District Collector to be transmitted to Cyclone affected victims relief works. 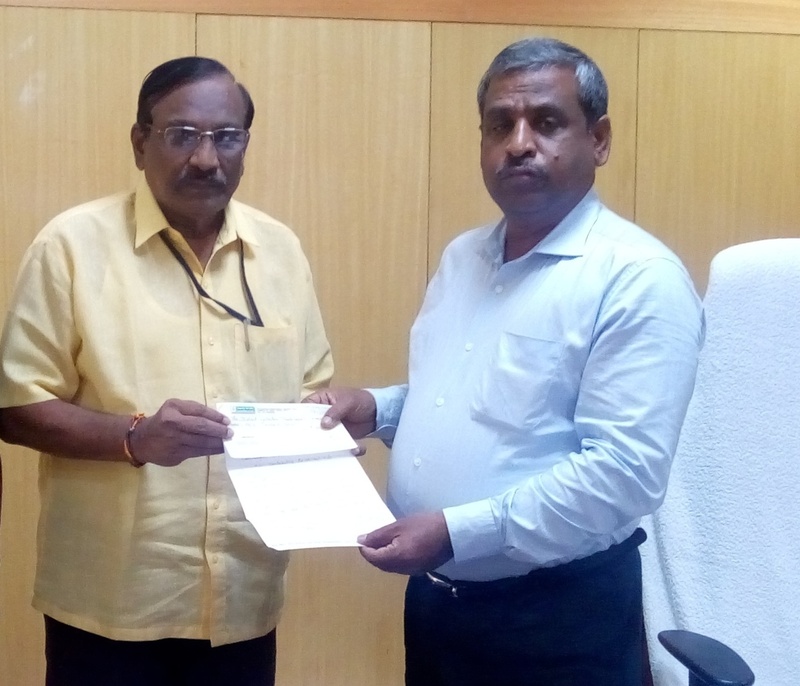 SEVAI hands over Rs.50,000 to District Collector Trichy for Gaja victims. 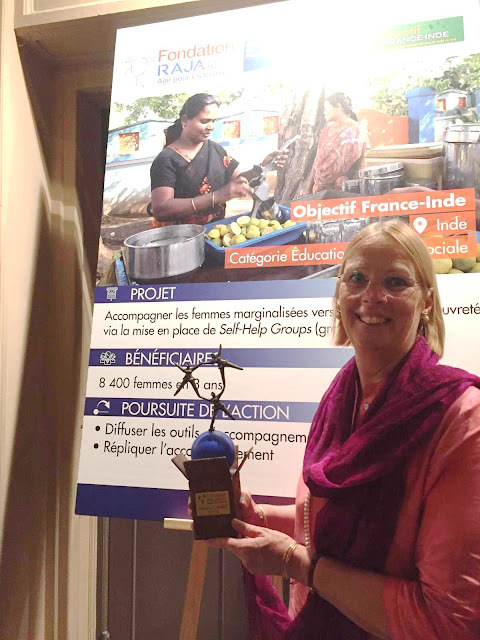 FOUNDATION RAJA Women’s Award-2018 presented to Dr. (Mrs).Benjamine Oberoi in France. SEVAI Shanthi Matriculation Higher Secondary School, Pettavaithalai-Students lend a helping hand to Gaja Cyclone victims in Trichy. Senior citizens are Pride of our Nation and they need Day Activity Centres not Day Care Centres- Dr.T.Nagender Swamy. implementation Panchayat raj System for the inclusive Development of Rural population. Mahatma Gandhi promoted Trusteeship/ownership approach mentality will develop desired results for development results among rural participants in development process.” Earlier Dr.K.Meena, Ex-Vice Chancellor of Bharathidassan University presented Kalam Award For Knowledge Connectivity to Dr.T.Nagender Swamy, Kalam Award For community outreach to Dr.S.Jayaraman, an Agriculture Scientist and to Dr.M.A.Aleem, a Neuro surgeon, Kalam Award for Quality of Life Improvement Instituted by South Zone Board of Continuing Education(OZONE). 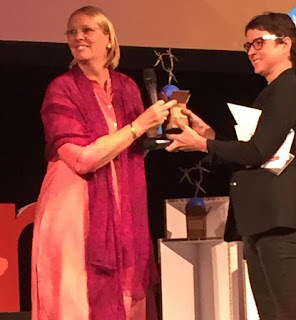 OZONE Board members Dr.Vijayaragavan, Scope Mr.M.Subburaman,Gramium Narayanan, Ms.Suda,Mr.M.Theresnathan and other distinguished personalities participated in this function. 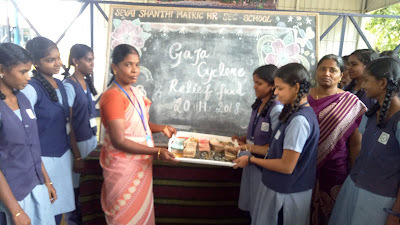 Students SEVAI Shanthi Matriculation Higher Secondary School science Exhibition and Joint Liability Group of Amoor organized solar products exhibition. Dr.K.Govindaraju, Chairman, OZONE welcomed the gathering and K.Subramanian, Award Committee Chairman proposed vote of thanks. -Kris.